If you’re in need of tooth replacement and considering dental implants, you might be surprised by all the different dental implant options. One option that you might hear about is called All on 4. But what are All on 4 implants? Are they the right choice for you? Below are a few things that you should know about All on 4 dental implants. 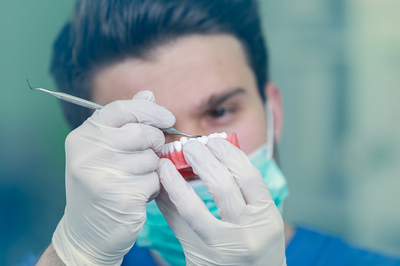 While the name “All on 4” might sound mysterious if you’re not familiar with dental implants, once you understand what the name means, it makes a lot of sense. The “all” refers to all of the teeth in an arch—a full upper or lower set of teeth. The “4” refers to the number of dental implants required to hold that arch in place. In other words, when your dentist talks about All on 4 dental implants, they are talking about a full upper or lower set of teeth that will be anchored by 4 dental implants. Instead of replacing each tooth separately, you’ll receive a full set at once that’s held in place by four strategically-placed implants. All on 4 will give you a great looking set of teeth in only one procedure. There are a few different reasons All on 4 can be beneficial for patients. For one thing, All on 4 can completely restore an entire arch of teeth in one sitting. This cuts down on time spent in the dentist’s chair and decreases the number of surgical procedures needed to restore all of your teeth. All on 4 also helps decrease the need for bone grafts. Tooth loss can lead to jaw bone loss, especially if missing teeth aren’t replaced shortly after they’re lost. And the more bone you lose, the more difficult it can be to place dental implants, which is why bone grafts are sometimes required before implants can be placed. But when only four implants are required, dentists can choose areas where the bone is more plentiful to place the implants—which means that you may not need a bone graft even if you’ve lost bone mass in some parts of your jaw. Am I a Good Candidate for All on 4? Many different types of patients are good candidates for All on 4 implants. If you’ve lost all or most of your teeth, or need to have all of your teeth removed, you may be a good candidate for All on 4. Patients who have experienced bone loss can also be good candidates for All on 4. All on 4 implants are the most cost-effective way to replace an entire upper or lower set of teeth, so they are often the best choice for patients who are on a budget. 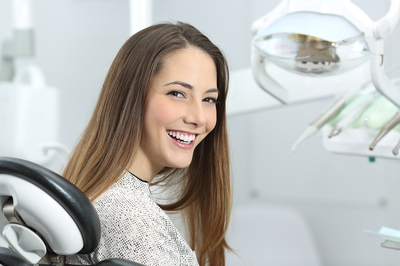 And since they require less surgery than replacing many individual teeth, they may be a good choice for patients who are anxious about dental procedures. If you’re interested in dental implants, the best way to find out if they’re right for you is to meet with your dentist. Contact us today to Schedule a consultation.